Amazon Unveils Three Hilarious New Comedy Pilot Shows. WATCH AND VOTE! Amazon Studios already has another batch of TV Pilot episodes for us to watch (for FREE) and vote for. Remember, only shows with the most votes will get a green light, so if any of these seem the least bit interesting, watch them soon and take the survey. 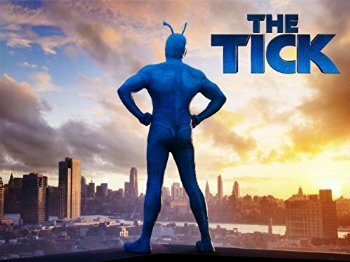 The Tick is back! Peter Serafinowicz (who was hilarious as the amorous Aldo in Spy) plays the beloved goofy blue-suited hero The Tick. 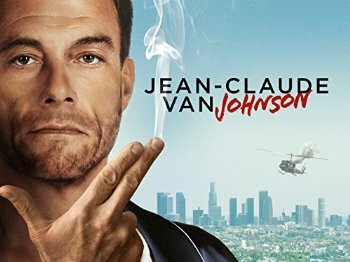 The premise of this show is that Jean-Claude Van Damme, the actor (now retired), is a real-life undercover black ops contractor (now also retired and very rusty). Of course something pulls him back into the game. The show pokes a lot of fun at Hollywood (including how PC it is) and Van Damme has a lot of self-deprecating humor. Action fans should definitely check it out. I know I will. JEAN-CLAUDE VAN JOHNSON stars global martial arts & film sensation Jean-Claude Van Damme playing "Jean-Claude Van Damme", a global martial arts & film sensation, also operating under the simple alias of "Johnson" as the world's best undercover private contractor. Retired for years, a chance encounter with a lost love brings him back to the game. This time, he'll be deadlier than ever. Probably. I am a fan of Kevin Bacon, so I'm crossing my fingers and hoping for the best here. Happy Watching, and have a great weekend!